Tis the season for apples, citrus and cranberries! 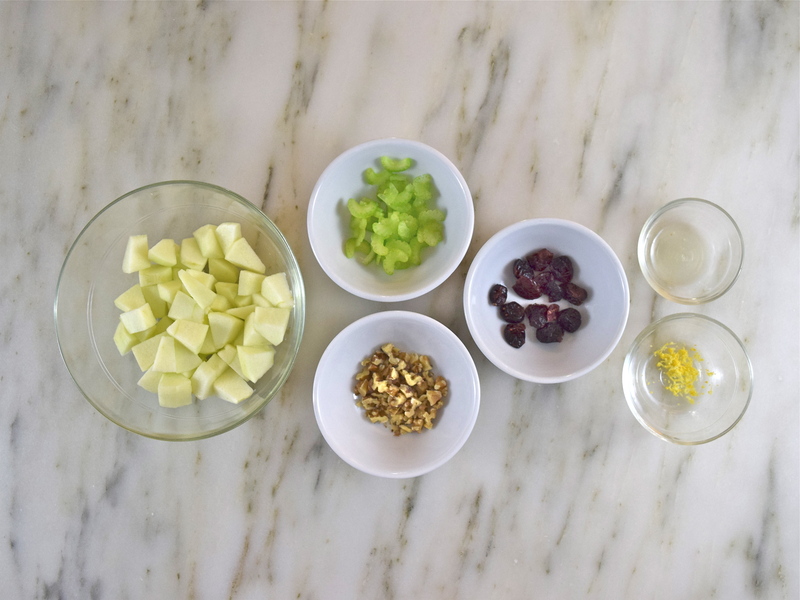 My inspiration came from Cook’s Illustrated’s “Apple-Cranberry Salad with Creamy Lemon Vinaigrette,” November 1996. 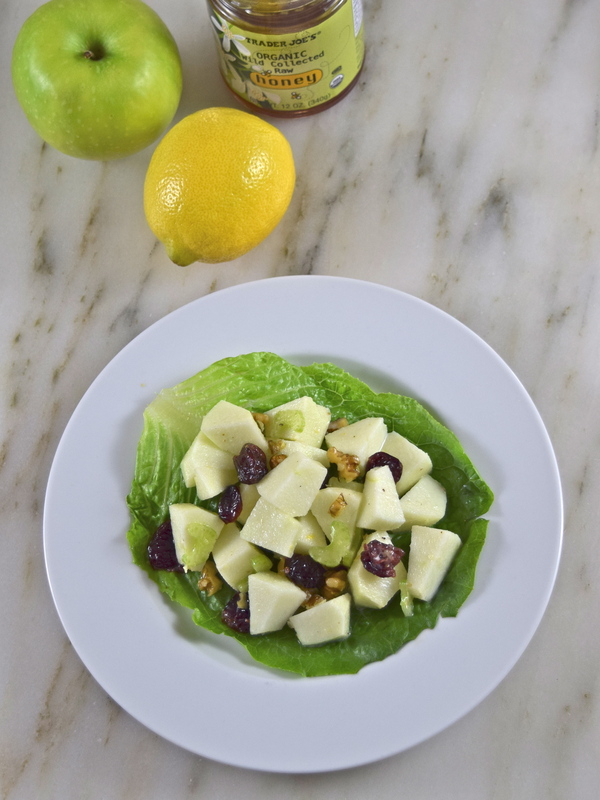 This salad is a wonderful mixture of flavors from the lemon zest and dried cranberries to the crunchy textures of the Granny Smith apples, celery and walnuts! It is so easy to make with ingredients commonly found in the refrigerator and pantry. I used organic Greek yogurt, instead of heavy cream, and used a little honey to sweeten the vinaigrette. In a medium bowl, toss apples with 1 tablespoon lemon juice and set aside. Using a small bowl, whisk oil, yogurt, lemon juice and zest thoroughly. Add salt and pepper to taste. Add celery, walnuts and cranberries to apple. Drizzle dressing over fruit mixture and gently mix. Spoon fruit mixture into each of the four lettuce leaves and serve. Serves 4.